The sun's out, your flip flops are on and it's time to chill out in the garden. I don't know about you, but the ice lollies I used to have when I was little now seem so tooth-rottingly sweet and just so... blue. 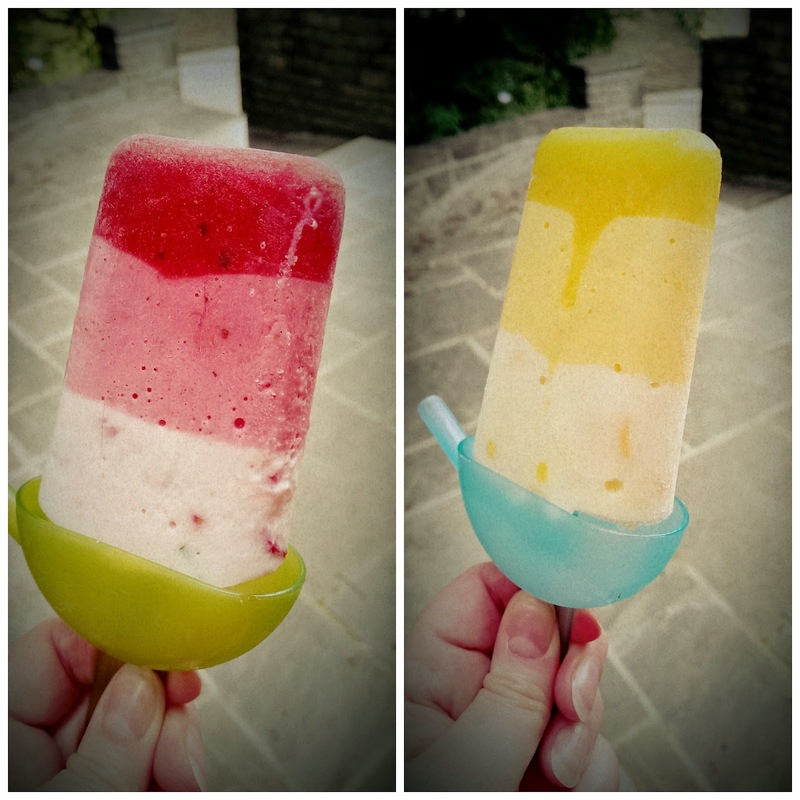 Ever one to try and sneak one of my 5 a day into something that feels more like a treat, I've devised a distinctly more grown-up (and infinitely more healthy) version of the retro-favourite Fab lolly. Comprising of nothing more than fat free Greek yoghurt, fruit, herbs or spices and a drop of agave nectar, you can enjoy with out a second thought about the impact on your bikini body (not that I spend a great deal of time thinking about this anyway...). I made two flavours - strawberry & mint and mango & cardamom - however the variations are endless. 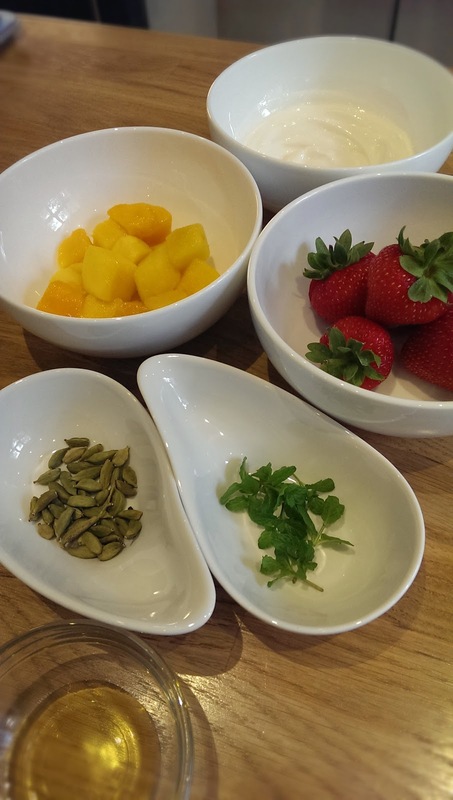 Other possible combinations include: peach & star anise (although you might want to infuse the peach with the spice here, rather than leave it in), pineapple & ginger, raspberry & vanilla or you could get really adventurous with strawberry & basil or raspberry & thyme. 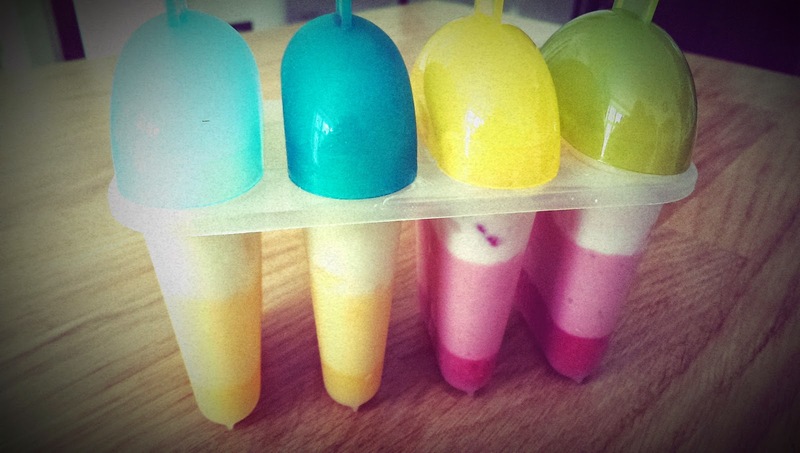 For a dairy-free / vegan version I have also made these lollies using coconut milk instead of Greek yoghurt - follow the directions below but just substitute the yoghurt for milk. Purée your fruit with the herb or spice (I used a hand blender), leaving some fruit and herbs out to use in the last layer of your lolly. If you are using more tart fruits such as strawberries or raspberries adding a drop of agave nectar (or a tiny bit of sugar) will sweeten them up. I haven't specified any quantities as it really depends on how many lollies you want to make and what size your moulds are. 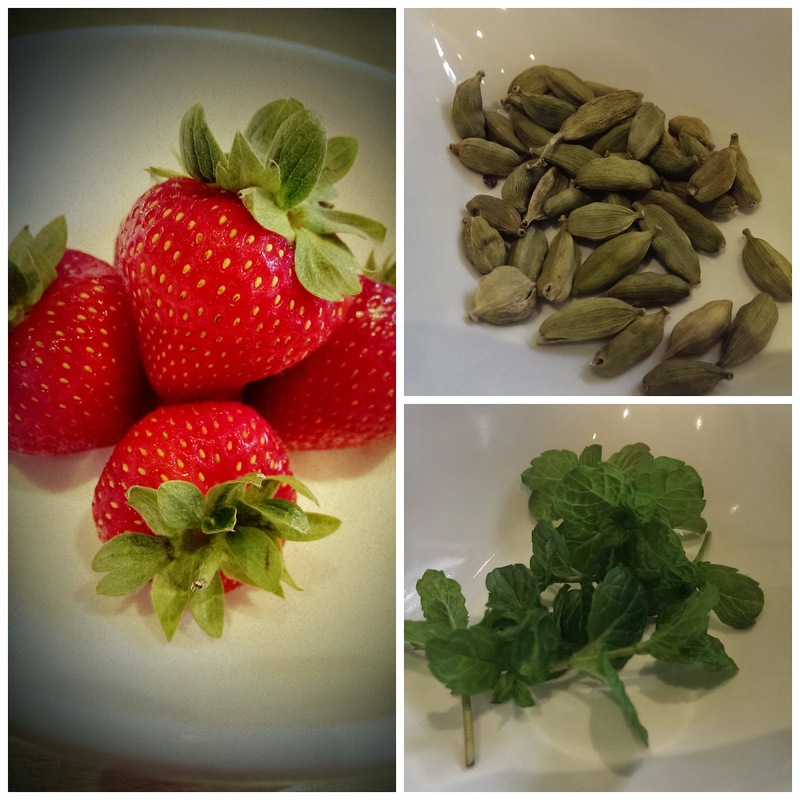 Play it safe with the amount of spice you add at first and then add more to taste after you have made the purée - I used the seeds of only one cardamom pod to flavour 2 lollies. Spoon about half of the purée into the bottom of your moulds and pop them in the freezer to set - about 20 minutes should be enough. Whizz up your next layer by adding a few spoonfuls of the Greek yoghurt to the leftover purée and blasting again with the blender. Spoon this on top of the now semi-frozen purée layer, leaving a couple of spoonfuls behind to make the last layer. Put the moulds back in the freezer for another 20 mins or so. 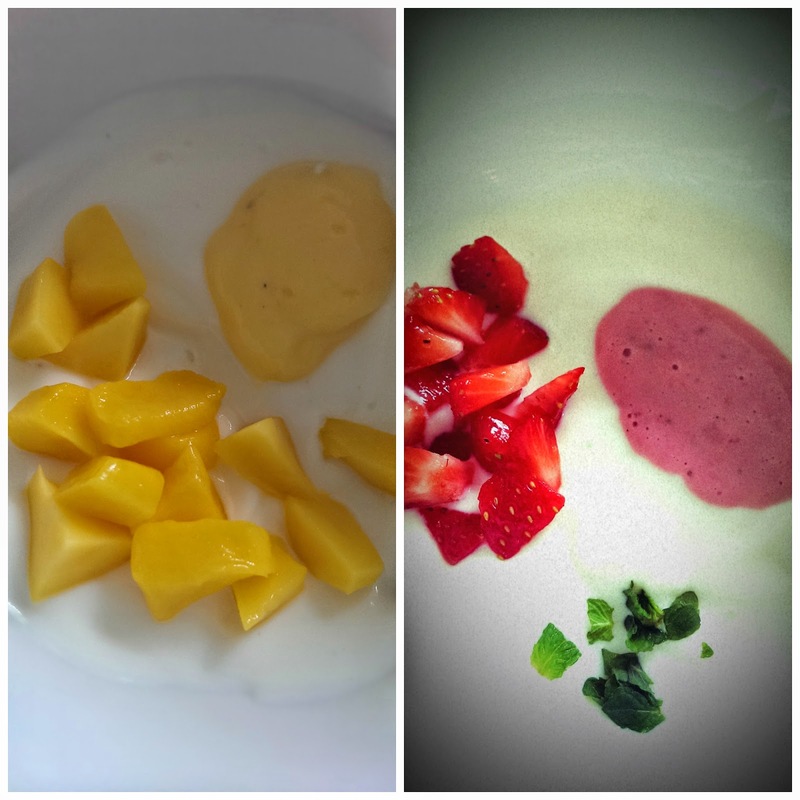 The last layer is mainly yoghurt with a couple of teaspoons of the reserved purée/yoghurt mix added, the reserved fruit chopped into small pieces and if you are using herbs (rather than spices) a few leaves, plus another drop of agave nectar. Mix all of this together (gently, so you don't crush the fruit) and spoon on top of the other semi-frozen layers. Don't forget to add your lolly stick at this stage!! Wait for a least an hour while they freeze (I'd suggest sitting in the garden with a good book, but I'm sure you can think of your own way to entertain yourself for an hour) and then you can enjoy all the icy fruity goodness. 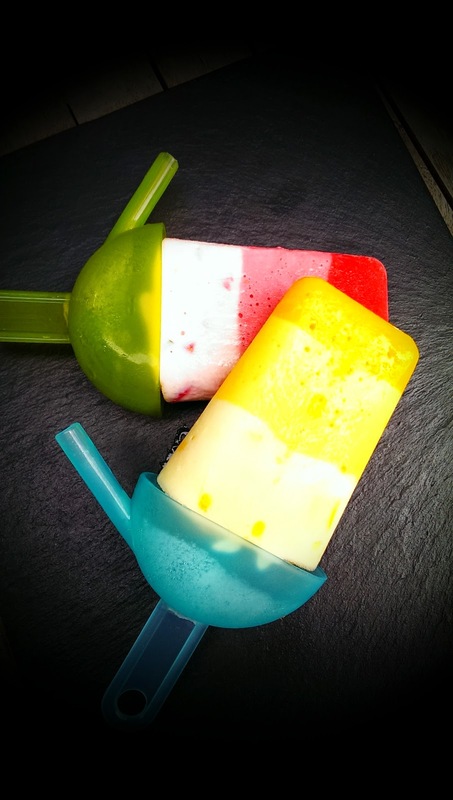 I'd love to hear what flavour combinations you come up with - please share them with me on Twitter and your photos (I love a good lolly shot!) on Instagram. They're perfect for this weather! !